The Intro-Tech ultimate reflector custom folding auto shade is manufactured using a superior quality multi-layered material with a reflective mylar heat barrier that reflects harming UV rays. Computer precision cut for a custom fit, it reduces inside temperatures up to 40 degrees Fahrenheit. It protects leather seats from becoming hot and cracking while keeping the steering wheel and shift knob comfortable to the touch. Beautifully finished with a UV resistant, non-abrasive velour binding; it folds in seconds for easy storage in its own leatherette storage bag. The ultimate reflector shade is also reversible for winter usage. Lifetime warrantied. 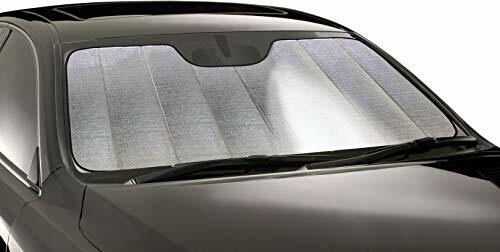 The Premium Custom Fit Folding Auto Sun Shade is Computer precision cut for a custom fit, it reduces inside temperatures up to 40 degrees Fahrenheit. It protects leather seats from becoming hot and cracking while keeping the steering wheel and shift knob comfortable to the touch. Beautifully finished with a UV resistant, non-abrasive velour binding; it is easy to roll up and an attached Velcro strap makes stowing a breeze. Lifetime warranted, and designed to perform, this interior saving accessory is a must have for all owners concerned with lowering temperatures inside their parked vehicle. Available in over 2,600 custom fit windshield applications for cars, trucks, SUV's and minivans. The Intro-Tech Automotive Custom Auto Shade is manufactured using a superior quality multi-layered material with a metalized outer film that reflects harming UV rays. Computer precision cut for a custom fit, it reduces inside temperatures up to 40 degrees Fahrenheit. It protects leather seats from becoming hot and cracking while keeping the steering wheel and shift knob comfortable to the touch. 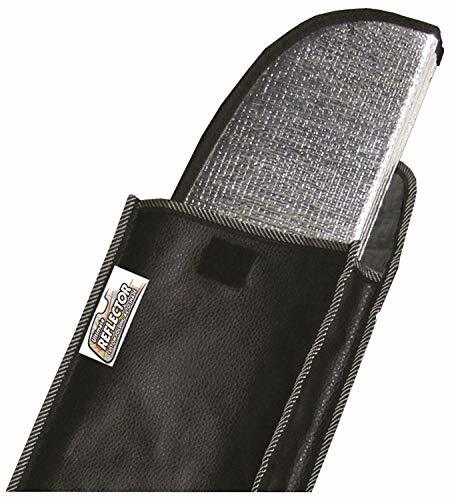 Beautifully finished with a UV resistant, non-abrasive velour binding; it is easy to roll up and an attached Velcro strap makes stowing a breeze. Lifetime warranted, and designed to perform, this interior saving accessory is a must have for all owners concerned with lowering temperatures inside their parked vehicle. Available in over 2,000 custom fit windshield applications for cars, trucks, SUV's and minivans. The Intro-Tech automotive custom auto shade™ is manufactured using a superior quality multi-layered material with a metalized outer film that reflects harming UV rays. Computer precision cut for a custom fit, it reduces inside temperatures up to 40 degrees Fahrenheit. It protects leather seats from becoming hot and cracking while keeping the steering wheel and shift knob comfortable to the touch. Beautifully finished with a UV resistant, non-abrasive velour binding; it is easy to roll up and an attached Velcro strap makes stowing a breeze. 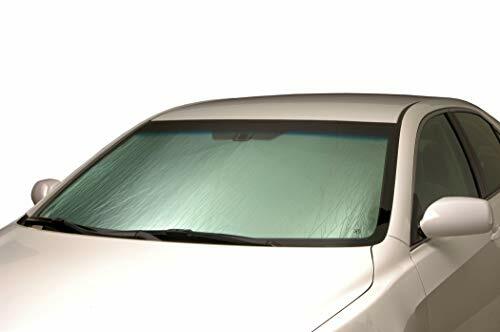 Lifetime warranted, and designed to perform, this interior saving accessory is a must have for all owners concerned with lowering temperatures inside their parked vehicle. 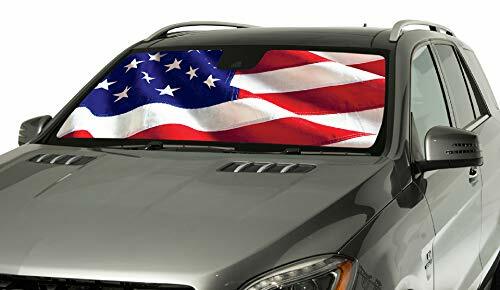 Available in over 2, 600 custom fit windshield applications for cars, trucks, SUV's and minivans. Want more Introtech Automotive Windshield similar ideas? Try to explore these searches: Ski Snowboard Waxing Iron, Wave Design Bangle, and Premier Excavator.